Tonga’s prime minister warned of asset seizures as his country struggles to repay $115 mln of Chinese loans. That sounds extreme, but Tonga and its neighbours will try to renegotiate terms. Beijing’s response will show how conciliatory it is willing to be with weaker borrowers. 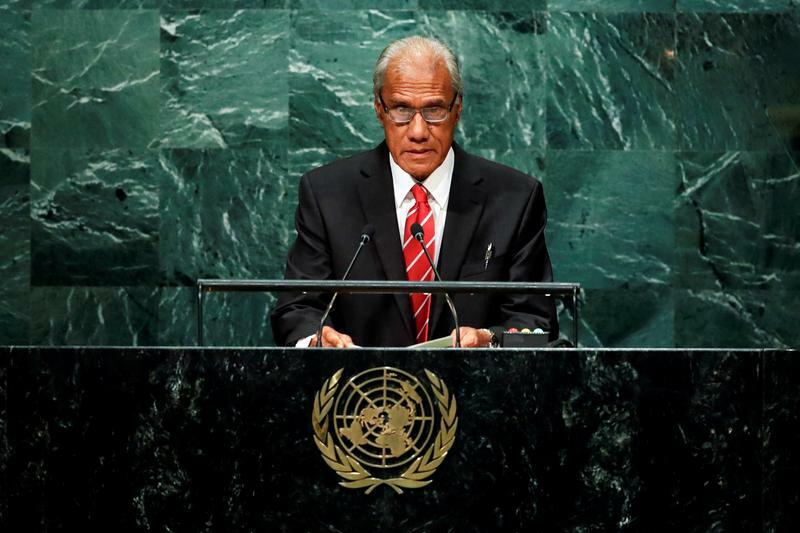 Prime Minister of Tonga Samiuela Akilisi Pohiva addresses the United Nations General Assembly in the Manhattan borough of New York, U.S., September 24, 2016. The U.S., Australian, French and UK governments will boost economic aid and expand their diplomatic presence in the Pacific region, Reuters reported on Aug. 29, citing sources. Western officials are concerned that Chinese lending practices are leading to unsustainable debt for countries in the region, a source said. Tonga’s Prime Minister 'Akilisi Pōhiva told Reuters on Aug. 16 that Pacific island nations are holding talks which may result in a coordinated request for China to forgive the region’s debts. The region’s financial situation means asset seizures similar to China’s possession of a Sri Lankan port could not be ruled out, Pōhiva said. The countries were to advance a plan at the Pacific Islands Forum. The prime minister walked back the comments on Aug. 17, saying that “after further reflection” the Pacific island nations should seek solutions to their debt problems “through bilateral channels”. The Tongan government had received a complaint from Beijing after the prime minister’s previous comment, Reuters reported, citing a source.